The humble parsnip may not be your first choice of vegetable when in the kitchen, but they have a lot to offer. As we move onto Issue 2 of PlantBased, we have enjoyed receiving such amazing feedback from the first issue. The positivity surrounding the launch was infectious and we’ve particularly loved hearing from excited people who had never considered plant based eating before picking up the mag, but are now joining the food revolution as a result of reading it. November means winter is officially on its way. In the office at PBHQ that means our tea and coffee habit has been taken up a notch (though, if I’m honest, we’ve barely stopped all summer anyway) and it also means that I have now got an excuse to dig out my much-loved and rapidly growing collection of jumpers to keep me warm as the temperature drops. The chillier weather calls for warming and hearty meals and this issue shouldn’t disappoint. 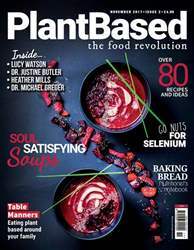 We have our Essential Guide to soul-satisfying soups [page 54] including the delicious and striking beetroot soup you will have noticed on the cover, plus we show that salad can be for winter too, with our Winter Salads recipe section [from page 30]. This month, we were also really thrilled to have Tammy Fry (of the Fry’s meat-free meat fame) in our PlantBased Kitchen cooking up a Thai Green treat. Travelling from Australia, Tammy only had time to stay for the morning, but I could have spoken to her for hours — the achievements she’s accomplished and the passion she shows for turning the whole world plant based really struck a chord and I spent the rest of the day feeling extremely inspired. Have a fantastic November and we will see you next month for a Christmas issue that you won’t want to miss out on. 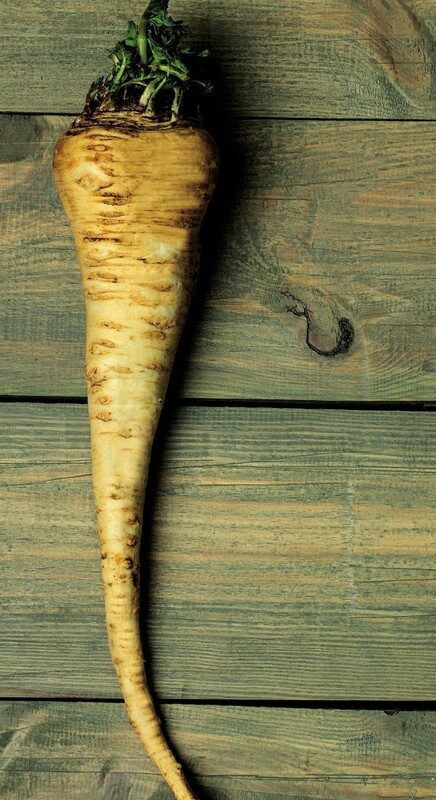 BUT WHAT CAN I MAKE WITH PARSNIPS?